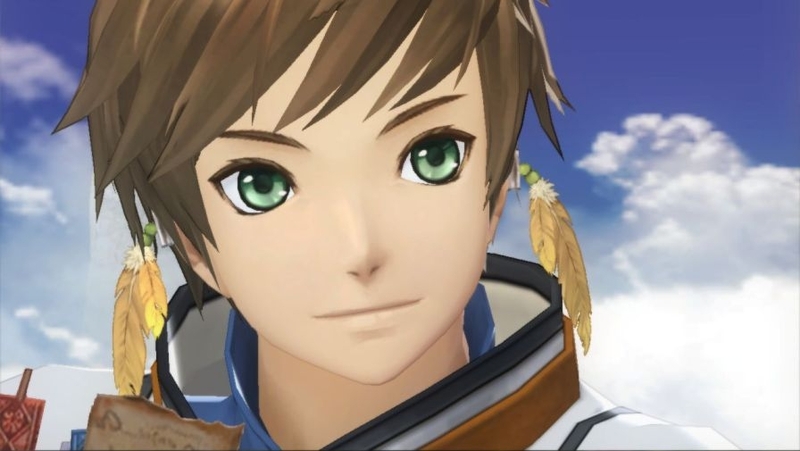 After what was practically two countdowns, Namco Bandai has finally announced that the Next Tales of mothership title for the series is Tales of Zestiria for the PlayStation 3. - Here's the game's logo. You'll notice that there's a dragon in there. 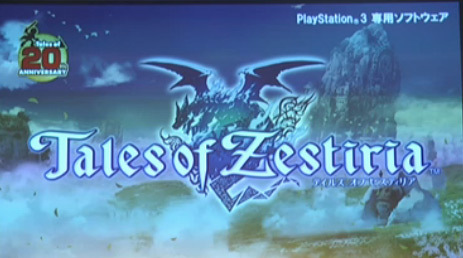 So where does the "Zestiria" come from? It comes from the word "Zest" - in Japanese words ????? meaning passion or enthusiasm. No, it's not a citrus fruit. - Here's the reveal trailer on our YouTube channel, for those who want to see it. 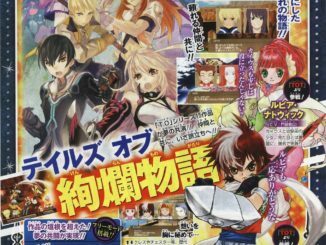 - The game has a total of four character designers: Kosuke Fujishima, Mutsumi Inomata, Daigo Okumura, and Minoru Iwamoto. 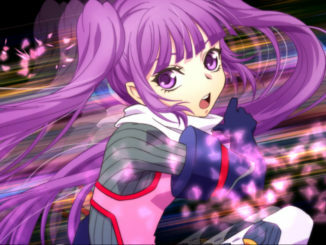 Iwamoto-san was the one who designed for the Tales of the World: Radiant Mythology games. 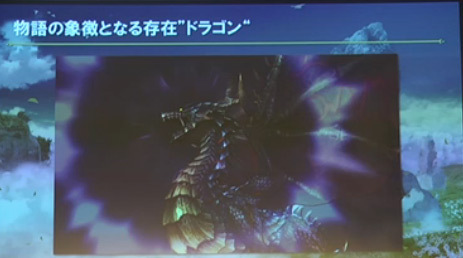 The main hero's name is Thray/Slay? ( ?? ?, surei, spelling not yet official). 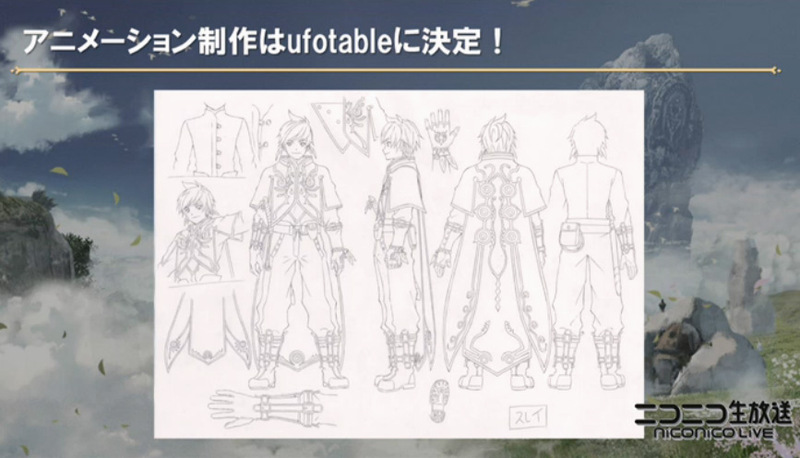 He's designed by Fujishima. He's described as a really gentle guy. 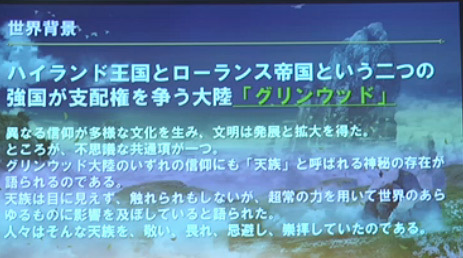 The main heroine's name is Alicia ( ???? ?, ariisha, spelling not yet official). She's designed by Okumura. She's apparently a knight. 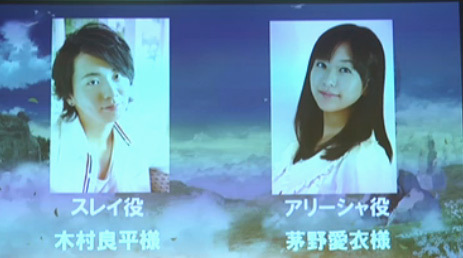 Thray/Slay is voiced by Ryouhei Kimura while Alicia is voiced by Ai Kayano. 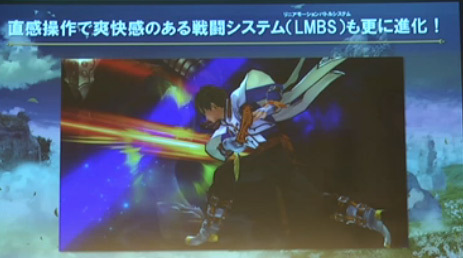 The battle system will definitely be a variant of the Tales staple Linear Motion Battle System, but so far they haven't announced exactly how the battle system will be. 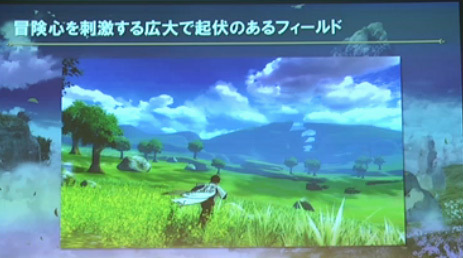 All they said is that it'd have a similar pace to Graces's battle system. 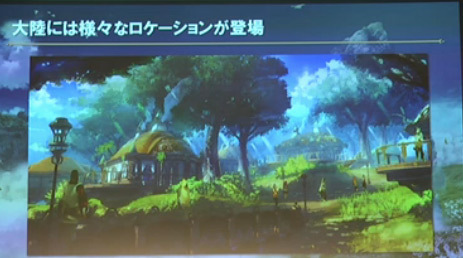 - The game is apparently mainly set in a continent called Greenwood. Here, the Kingdom of Highland and the Empire of Lowlance fight for rule. The world is one big field again, it seems. 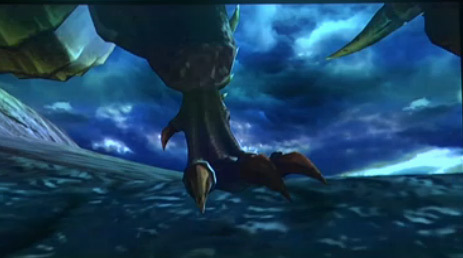 Just like in Xillia. And I believe some people said it's a bit of an open world? We're still waiting for confirmation on this one. 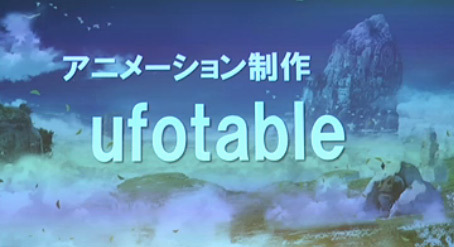 The animation will be by ufotable! What do we have here? Dragons. Yes, dragons! But are they friend or foe? We will find out in time, Baba-san said. 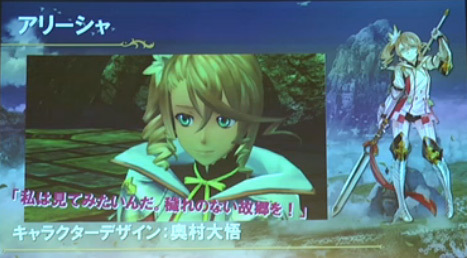 The announcement was made at the Tales 20th Anniversary Title Reveal. That's pretty much all we know so far. A teaser site is also up here. 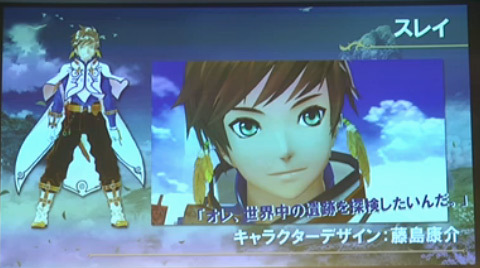 A trailer of the game will also be shown during Jump Festa 2014 on December 21-22, 2013. 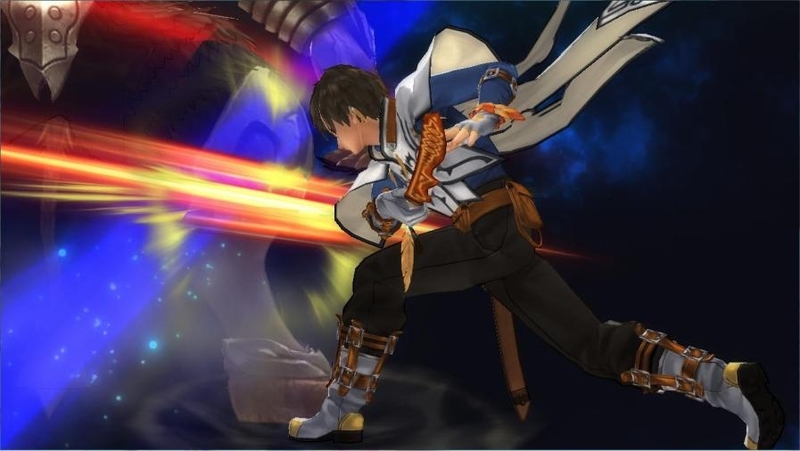 How do you guys feel about Tales of Zestiria? 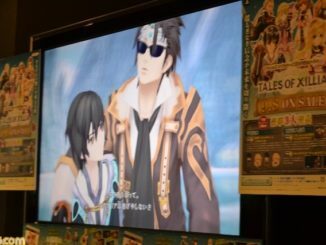 And by the way, for our visitors from Europe, don't forget to join Namco Bandai EU's Tales of Xillia Accessory Festival! 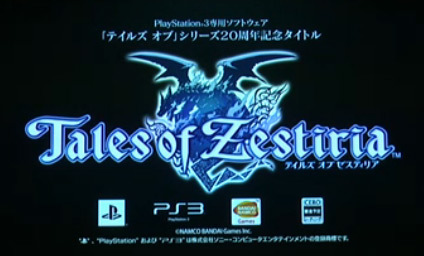 You can win a Tales of Xillia PS3 console signed by Baba-san and many more goodies!